All communication will be sent to this address. Select a one-word name for your account. Letters only, please. We will not sell, share, trade or give away any online information that you provide us (including e-mail addresses). 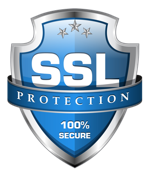 All personal information submitted to our site is encrypted and secure.